James Redfearn is a former Massachusetts state trooper, investigator for a Boston law firm and industrial photographer. He earned a Master of Arts in Literature and Creative Writing from Harvard University. He was raised in the Mission Hill neighborhood of Boston. An Appointed Time by James Redfearn is a historical story that follows the life of Frank Mahan and one of the most dangerous manhunts in the history of Massachusetts. It’s a tale of heroes and gangsters, but most importantly, it's a story that explores the art of making choices. It is 1958 and Frank, a man with no military or police background, decides to enlist as a Massachusetts state trooper. While he works alongside a WWII veteran, PK Cunningham, there are those who leave the salutary profession to become gangsters — John and William Coyle. Things seem to work pretty well for Frank until a sinister encounter with the bad guys. He is torn between doing what is necessary or saving himself. With guidance from Cunningham, he will have to learn the hard way that certain things are not always the way they seem to be — and this happens most of the time. James Redfearn has crafted a compelling story that will appeal to fans of historical novels with powerful settings. The writing style is highly descriptive, captivating the reader right away. An Appointed Time handles the psychological and physical conflicts in a masterly way, and readers will very much appreciate how the conflict sets the beat for the story. The pacing is good and one feels compelled to follow the protagonist till the last page of the novel. Redfearn demonstrates great mastery when it comes to economy of words and precision in writing and, coupled with the skilled art of storytelling and the gift of character creation, this makes for a really enjoyable read. An Appointed Time by James Redfearn tells the story of Frank Mahan who takes up a career as a trainee State Trooper. In this story set in the late 1950s in Massachusetts, Frank hopes to make a good impression on his superiors as he has to prove his worth because he does not have a military background like other troopers. He soon passes his training and eventually finds himself face to face with two notorious gangsters, the murderous armed robbers, the Coyle brothers. The story is based on one of Massachusetts’ most famous historic manhunts. The fact that this story has some factual basis is quite interesting, although it takes a while for the book to pick up pace. The author builds up the main characters by following their lives and the locations to give the reader a clear understanding of those involved, the location, and the era. Those interested in State history will find this book particularly appealing. In some ways the sedate pace works to build up the story, gradually enlightening the reader as to motives and character traits. The author, James Redfearn, has clearly researched this historical incident well, fictionalising as necessary to bring the story to life. The character of Frank comes across well and the reader is drawn to him and his efforts to do his job well and properly. The Coyle brothers are also believable - the ending is well described and well written and seems to pull together the injustice and heartless behaviour of all concerned. 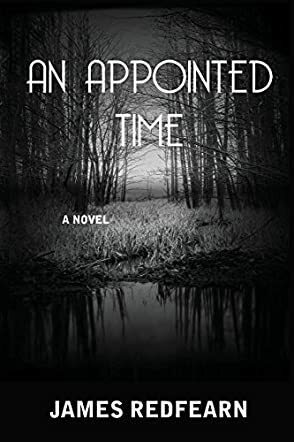 In An Appointed Time by James Redfearn, the novel follows the story of different men from different walks of life, and how their one choice led them to forge futures that are polar opposites. The novel is set in 1958 when our protagonist, Frank Mahan, joins up as a state trooper. He hopes that he would find something that will center him. There he meets PK Cunningham, a WWII veteran. Under his guidance, Frank finally makes a change in his life and tries to right the wrongs he did. However, while Frank is finally turning his life around, two men from the army are gravitating to the wrong side of the law. Brothers John and William Coyle leave army life behind to become gangsters. As fate would have it, the brothers and Frank meet once again, but on totally opposite sides of the fight. Fate has her ways of coming back at you, especially when you least expect it. What has fate decided for these three men? Intense, and sharply written with crisp dialogues, the novel revolves around these characters and brings them to life. The prologue sets the mood of the novel, filled with dread and the foreboding of a grim outcome. The chapters that follow bring the story to a full circle and keep the reader on the edge of his/her seat until they have read till the end. I was curious, interested and then totally attentive because the author transported me to the world of Frank Mahan and every other character. This novel is definitely for an audience that enjoys raw and gritty stories that don’t sugar coat anything, and bring something real and exciting to the reader. Excellent read! Fast paced and lots of action. A real account of thoughta, feelings, and emotions that police officers go through when they risk their lives every day. 5 Stars.